With the DSMC2 Touch 7.0" Ultra-Brite LCD, RED now offers a 7" Preview Touch monitor that is enough to be readable even during daylight hours - a welcome addition for RED owners, as the previously available DSMC2 RED Touch 7.0" LCD only had a brightness of 350 nits. The new Ultra-Brite LCD is now with 2.200 nits as bright as the two 5" and 7" monitors of the Ultra Bright Series from smallHD. The 1,920 x 1,200 monitor with 8-bit panel and Gorilla Glass surface fulfils two functions: it can be used for previewing the camera images as well as for operating the camera via its touch function. It has a larger color gamut (83% NTSC) than the previous RED camera monitors and a contrast of 1200:1. On the back, it offers a number of mounting options using several 1/4"-20 and 3/8"-16 holes. 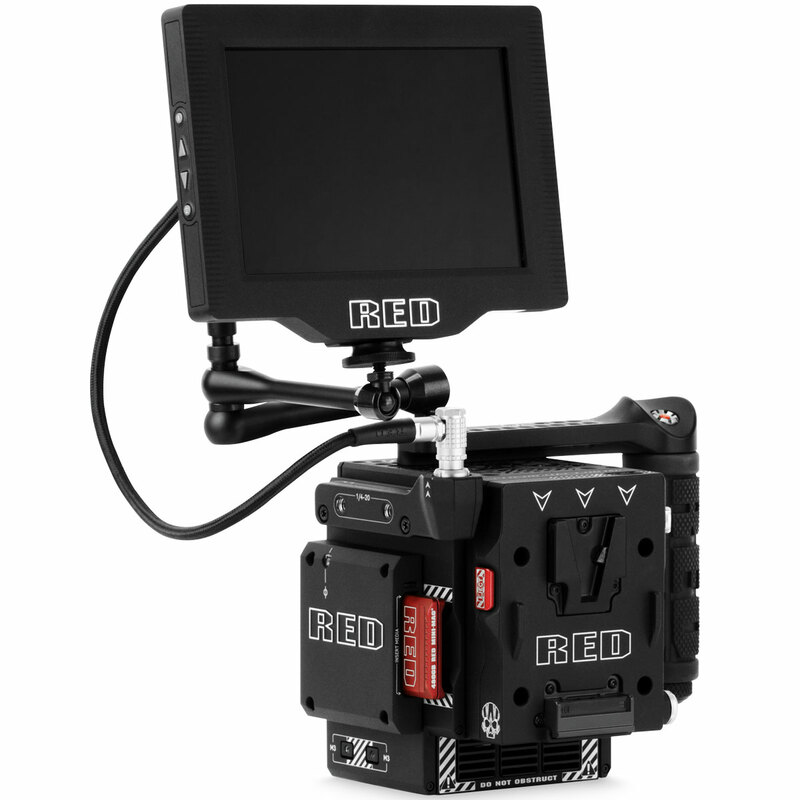 Since the new monitor has no pogo pins and is mounted further away than a camera monitor, it is connected to the RED camera via a LEMO port and a DSMC2 LEMO adapter which is available for . Prerequisite for working together with a RED camera is firmware 7.2 or later. 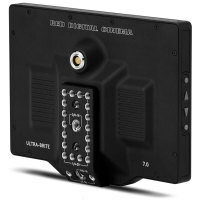 The RED DSMC2 Touch 7.0" Ultra-Brite LCD is now available for ,750 and costs 1,000 more than the DSMC2 RED Touch 7.0" LCD (which has a slightly lower resolution of 1,920 × 1,136 pixels).